kreachr's little corner: Hey! Where have you been?? Hey! Where have you been?? Sadly, this has fallen by the wayside. Like, the way way over there side. I've been for one run since Christmas. Just one. How sad is that? But I fully intend to get back into it, probably once the boys are back at school. I may manage a run or two before that (if my body hasn't forgotten how to do it) but I'm not promising anything. My mum's socks. Yes mum, you will notice that that is your mat on your lounge floor. 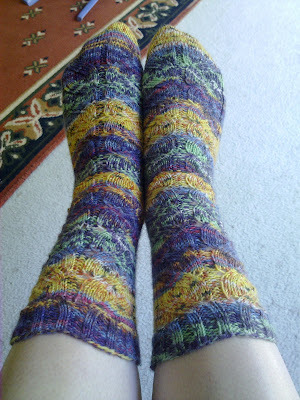 I finished knitting the toes at your place while you were at work, photographed them, wrapped them, and snuck them under the tree. So there really was only a little time to spare. 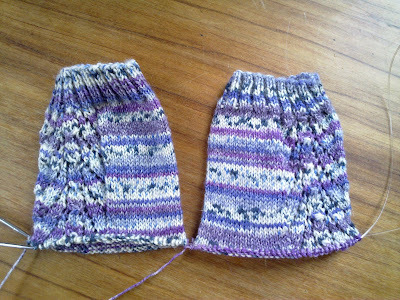 Once the Christmas knits were out of the way, I started on something for myself. 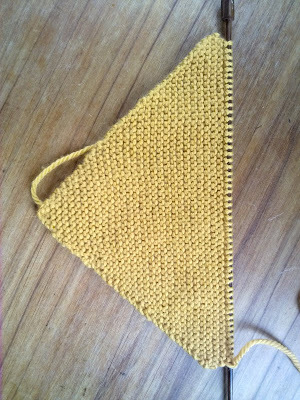 It's something I've been wanting to knit for a while just because the yarn was so yummy and soft. It's a 50/50 merino silk blend worsted weight yarn, sent to me by a lady called Jo who lives in Canada. It was part of my Harry Potter June 2009 swap package (you may remember, I've mentioned it before). 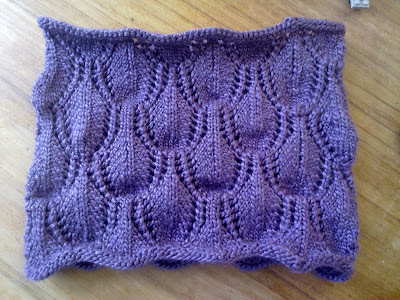 I knit it up into a Noble Cowl, as suggested by Jo. And I absolutely LOVE it! Can't wait for winter when I can wear it!! My favourite roving dyer has become my gourmet yarn source as well. 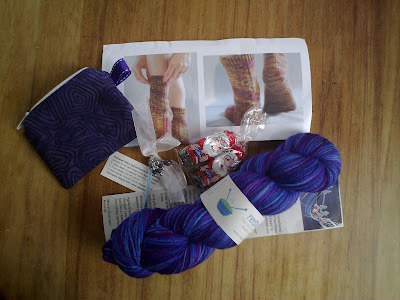 Not only did she send me a link to a lady selling Malabrigo on Trade Me (oh my! 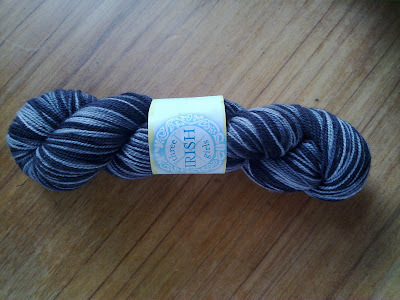 I may pass out...), she kindly presented me with a skein of Three Irish Girls sock yarn at knitting group on Sunday. So this skein will be waiting for the perfect sock pattern to be stumbled upon before being wound into balls for knitting. For me to purchase this skein myself would cost me around $40, hence, I have never bought any. I just couldn't justify the expense. I guess that's what incredibly generous American friends with American-dwelling family are for, right? Tracee, you rock!! 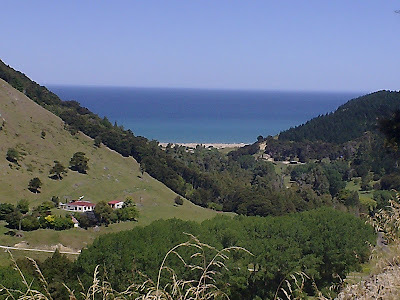 This is the only glimpse you get of the beach on the (approximately) hour-long drive to get there - such a tease! 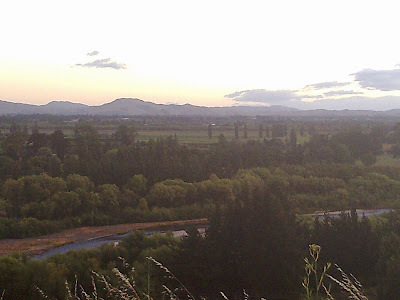 Pretty though, huh. Wow, I've gotta say that all of your GORGEOUS fiber in this post has me drooling on the keyboard!